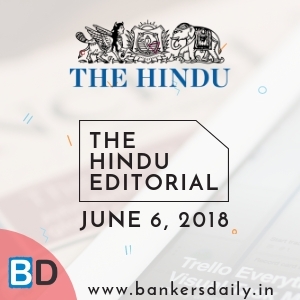 THE HINDU EDITORIAL – August 21, 2018 is one of the must read section for the competitive exams like IBPS RRB PO, IBPS RRB Office Assistant 2018, RBI Grade “B” 2018 & NIACL Assistant 2018. These topics are widely expected to be asked in the reading comprehension , Cloze Test or Error Detection topics in the forthcoming exams. So gear up your Exam preparation and learn new words daily. Negotiations on the Regional Comprehensive Economic Partnership, among 16 Asian and Pacific Ocean countries, have entered a decisive phase. Most potential member-countries of the grouping, that comprises the 10 ASEAN members and their Free Trade Agreement partners, Australia, China, India, Japan, New Zealand and Republic of Korea, would like to see a “substantive agreement” on the trade deal by the end of this year. At a meeting in Singapore, which is driving the effort as the current ASEAN chair, countries which still have issues with the outline of the agreements reached so far may be told politely to step aside and allow a smaller group to go ahead with finalising the RCEP, with the option to join it at a later date. India is among the countries that will have to take a call at this point, and the government’s decision to set up a group of four ministers to advise Prime Minister Narendra Modi on the path ahead indicates the seriousness of the situation. India’s concerns with RCEP negotiations thus far are manifold, but some have been addressed. The first is the greater access Chinese goods will have to the Indian market, a problem given India’s massive trade deficit. To circumvent this, given that India is the one country that doesn’t have an FTA with China, the government has proposed a “differential market access” strategy for China, which others are inclined to accept. After the Wuhan summit, India and China have made progress on addressing the trade deficit, with China increasing access for Indian goods such as pharma and agricultural products. The second concern is about demands by other RCEP countries for lower customs duties on a number of products and greater access to the market than India has been willing to provide. 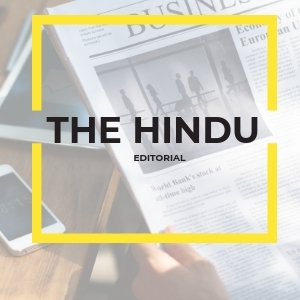 On the other hand, the more developed RCEP countries such as Australia and Singapore have been unwilling to accommodate India’s demands to liberalise their services regime and allow freer mobility of Indian workers. Naturally, none of this is made easier by the fact that some of the RCEP countries, including India, are headed for elections next year, a point where governments traditionally turn protectionist. Despite these concerns, the government must take into account the deeper strategic pitfalls of either slowing down India’s RCEP engagement or walking out of the talks at this stage. Doing so would cut India out of the rules-making process for the RCEP and give China further space in the regional trade and security architecture. At a time when the U.S. has broken from the global concord on multilateral trade agreements, an Indian walkout would endanger the united message that RCEP countries, which represent 40% of the global GDP, would wish to send out. It would also be a sharp departure from India’s “Act East” slogan and its extended outreach to ASEAN. b) Iraq government formation: Muqtada’s turn? The Iraqi Supreme Court’s ratification of the results of the May 12 parliamentary election has set the stage for government formation. After claims of widespread irregularities during voting, Iraqi lawmakers had ordered a recount. The only change after the recount is that the Al-Fatah bloc, which had come second with 47 seats, now has 48, gaining one from the Baghdad Coalition. The Sairoon Alliance led by firebrand Shia cleric Muqtada al-Sadr remains the largest bloc with 54 seats, while incumbent Prime Minister Haider al-Abadi’s Victory Alliance has 42. Now that the results are official, lawmakers have about 90 days to elect a Prime Minister. The MPs must elect the Speaker in the first session of Parliament. Within 30 days they are to elect, with a two-thirds majority, the next President. The President will then, within 15 days, ask the largest coalition’s representative to form the government. The Prime Minister-designate will have 30 days to come back to Parliament to approve a Cabinet, with each member required to be approved by a majority vote. If this process fails, the President has 15 more days to invite another candidate to be Prime Minister. A workable coalition will need the support of 165 MPs in the 329-member House. For now, four Shia blocs — Mr. Sadr’s Sairoon that includes the Sadrist movement and the Iraqi Communist Party; Mr. Abadi’s Victory Alliance; Shia cleric Ammar al-Hakim’s National Wisdom Movement; and secular politician Ayad Allawi’s Wataniyah — have formed a grand alliance. This Shia coalition has the support of about 140 lawmakers, and has sought support from other parties. The second largest bloc, Hadi al-Amiri’s pro-Iran Fatah Alliance, is yet to join hands with Mr. Sadr. During the campaign, Mr. Sadr had attacked the growing influence of the U.S. and Iran in Iraq. Fatah, made up of the Iran-trained Popular Mobilisation Forces that were at the forefront of the battle against the Islamic State, ran a pro-Iran campaign. In June, Mr. Sadr and Mr. Amiri had announced a surprise alliance in Najaf, but later Fatah backed out. If Mr. Sadr’s grand coalition does not get Fatah on its side, it will have to seek support from Kurdish or Sunni parties. Mr. Sadr cannot become Prime Minister as he did not contest. But being the leader of the largest bloc, he will play a crucial role in selecting the Prime Minister and setting the agenda for the government. His nationalist, pro-poor rhetoric during the campaign focussed on policies independent of foreign interference. The next government’s biggest early task is to improve security and address Sunni resentment in the north against the Shia elite in Baghdad. Mr. Abadi’s government has succeeded in regaining territories from the IS, but the task of re-accommodating Sunnis into the national mainstream remains. Meaning: Settling an issue; producing a definite result. Meaning: Having or showing the capacity to develop into something in the future. Meaning: Having a firm basis in reality and so important, meaningful, or considerable. Meaning: A general description or plan showing the essential features of something but not the detail. Meaning: Having many different forms or elements. Meaning: Find a way around (an obstacle). Meaning: Be favourably disposed towards or willing to do something. Meaning: Fit in with the wishes or needs of. Meaning: Remove or loosen restrictions on (something, typically an economic or political system). Meaning: Able to act or be done as one wishes; not under the control of another. Meaning: An advocate of the policy of shielding a country’s domestic industries from foreign competition by taxing imports. Meaning: A hidden or unsuspected danger or difficulty. Meaning: The action of engaging or being engaged. Meaning: To leave an event such as a meeting or performance because you are angry or disapprove of something. Example: All the parents walked out (of the meeting) in protest. Meaning: Agreement or harmony between people or groups. Meaning: To produce something in a way that causes it to spread out from a central point. Example: The equipment sent out a regular high-pitched signal. Meaning: An organization’s involvement with or influence in the community, especially in the context of religion or social welfare. Meaning: The action of signing or giving formal consent to a treaty, contract, or agreement, making it officially valid. Meaning: Found or distributed over a large area or number of people. Meaning: (of an official or regime) currently holding office. Meaning: Appointed to an office or post but not yet installed. Meaning: To return to a place. Example: I’ll come back and pick you up in half an hour. Meaning: A group of countries or political parties with common interests who have formed an alliance. Meaning: Not having any connection with religion. Example: We live in an increasingly secular society, in which religion has less and less influence on our daily lives. Meaning: Ask for (something) from someone. Meaning: The leading or most important position or place. Meaning: A lengthy and difficult conflict or struggle. Meaning: An organized course of action to achieve a goal. Meaning: To decide not to do something that you had said you would do. Example: They backed out of the deal the day before they were due to sign the contract. Meaning: Engage in competition to attain (a position of power). Meaning: A plan of things to be done or problems to be addressed. Meaning: Bitter indignation at having been treated unfairly. Meaning: Fitting in with someone’s wishes or demands in a helpful way. Meaning: The ideas, attitudes, or activities that are shared by most people and regarded as normal or conventional. Iraq government formation: Muqtada’s turn?